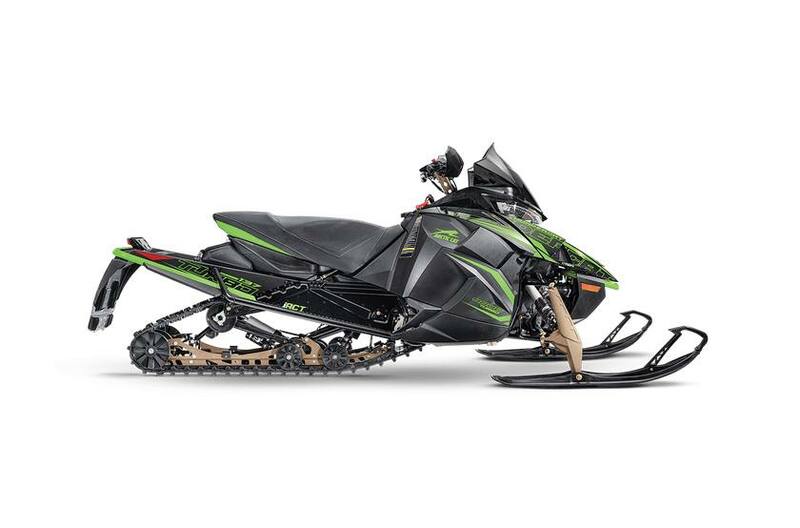 It’s the fastest and fiercest snowmobile on the planet, end of story. And it’s a joy to ride, too, with a low ride height, optional iACT™ Adjustable On-the-Fly Suspension and more. ZR 9000 Thundercat: An untouchable C-TEC4™ turbo-charged 998cc triple for instant 200-class horsepower, plus available iACT Adjustable On-the-Fly Suspension. 9000-Series C-TEC4 Turbocharged Engine: The biggest cat on the block gets the biggest, most powerful engine on the trail: our 9000-series C-TEC4 turbocharged powerhouse. iACT Adjustable On-the-Fly Suspension: Switch between soft, medium and firm suspension at the push of a button, with handlebar-mounted controls that automatically and immediately adjust your suspension FOX ZERO iQS gas shocks. Available on select models. 1.0" Ripsaw™ Track: Ripsaw’s angled lugs grip the trail, while the chopped design provides unmatched handling and acceleration. Overall Chassis Height: 52 in.